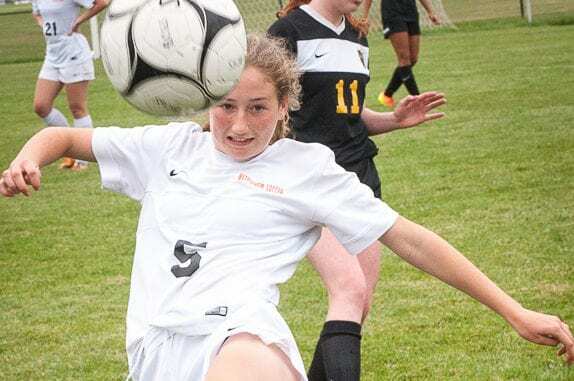 BETHLEHEM – In the first Suburban Council game of the season for both teams, the Bethlehem girls soccer team beat visiting Ballston Spa, 1-0. Junior Piper Gregory scored the game’s only goal early in the first half on an assist by sophomore Maia Dawson. As a team, Bethlehem outshot Ballston Spa 21 to six. Ballston Spa goalie Madelyn Barnum had 11 saves while her counterpart for the Eagles, Tessa Hughes, made five saves in securing the shut out. Bethlehem will play in Colonie on Sept. 5 and Ballston Spa will travel to Columbia.